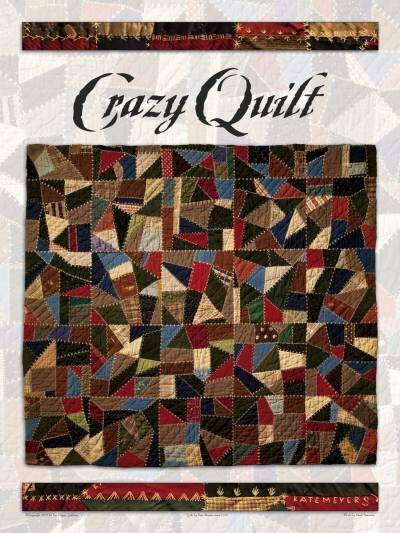 Use this Crazy Quilt Poster to add vintage charm to your room. The authentic quilt by Katherine (Kate) Seese Meyers (1888-1943) of Pennsylvania shows excellent examples of stitches and fabrics used around 1910. In addition to admiring close-ups of her embroidery and fabrics, be sure to look for the quilter's name in the quilt! The Crazy Quilt poster is printed using museum-quality 80-pound acid free paper and fits an 18" x 24" standard frame (not included). This is a BEE HAPPY QUILTING original.